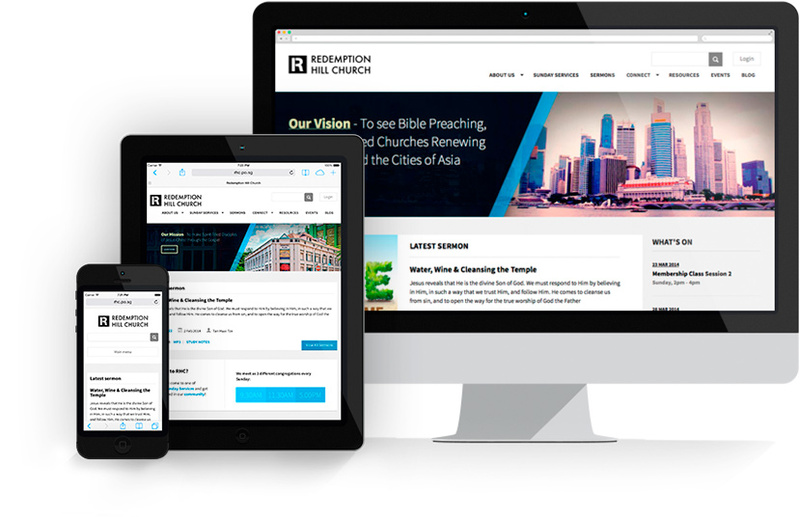 RHC commissioned us to revamp their website with the goals of easy content management and improved usability. We introduced a contemporary look and feel to provide a better means of connection with RHC’s growing community. Key information and knowledge gaps were identified by reaching out to the clients and church members. This data was assembled and analysed in a report that informed effective design decisions and key priorities for RHC. We attended a Sunday Service and experienced the culture of the church members so as to respond effectively to the church members’ needs with design solutions. 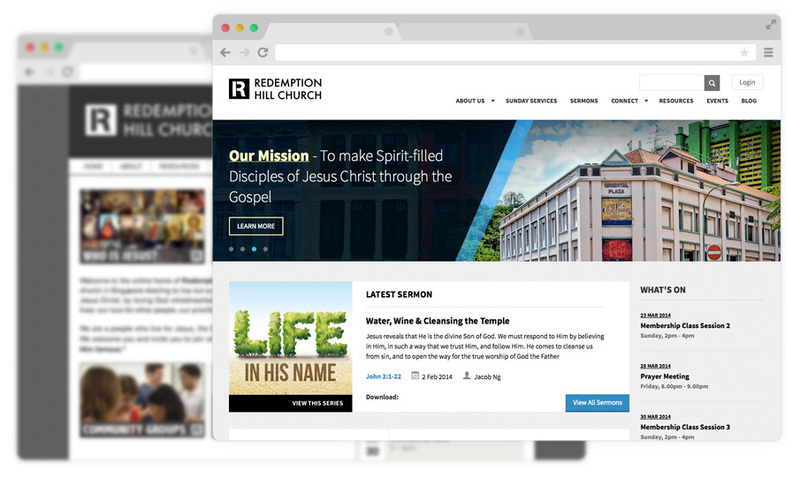 A new Information Architecture and page structure was proposed to handle the volume of content on the RHC website, which had grown significantly over the years. 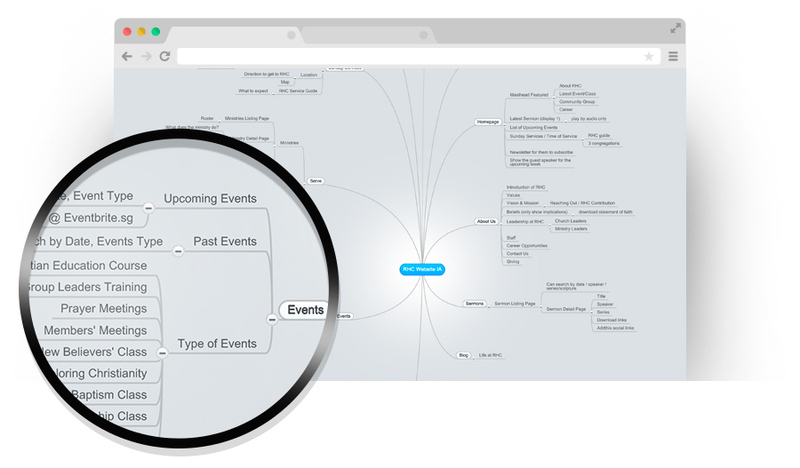 The improved navigation helps users find the information they want quickly and easily. Wireframes were placed on an online platform to gather user feedback during this initial design phase. Mood boards with contrasting styles helped the client decide on a visual style which best suits their organisation’s branding. 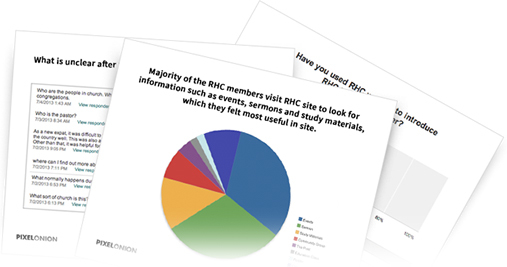 Several features were introduced to help enhance church members’ study of the bible by providing easier access to sermon materials. 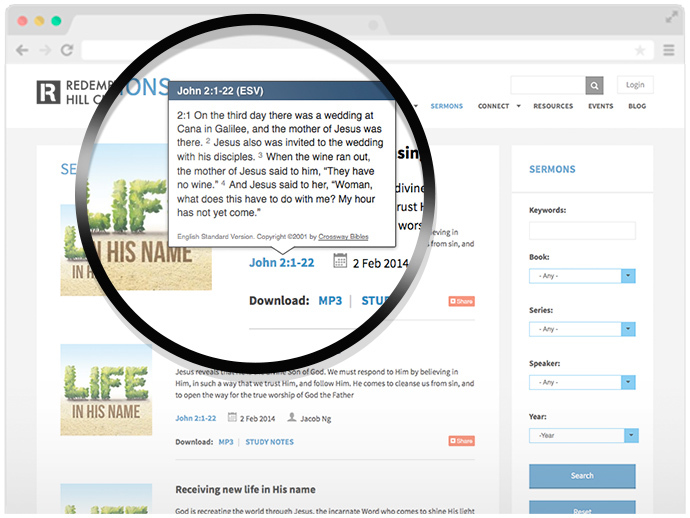 Integration of a third-party application to allow church members to read referenced verses conveniently. 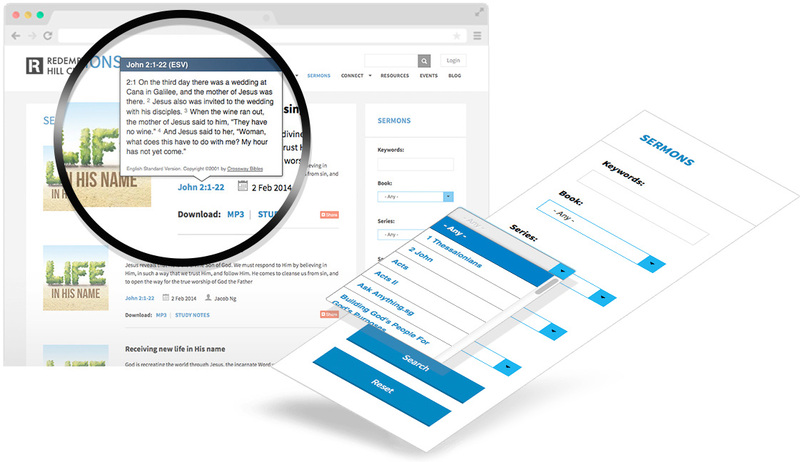 A flexible custom search function, which allows users to find the sermons they are looking for. Church goers are provided with a good mobile experience while accessing up-to-date information on the go. 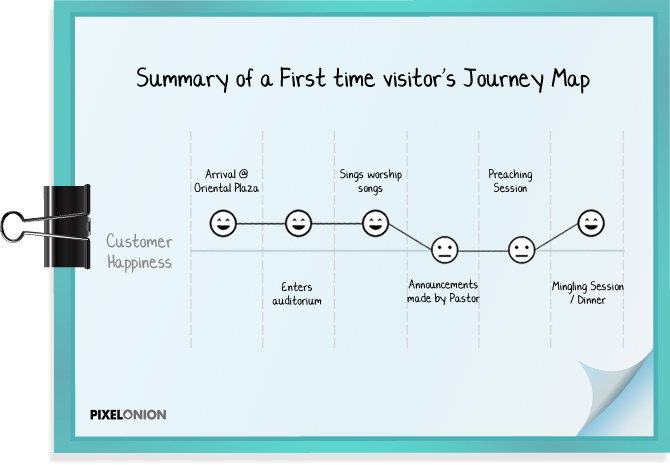 The PixelOnion team was creative, professional, responsive, and efficient. They took considerable time to understand our specific needs as a church. They also gave very useful suggestions. 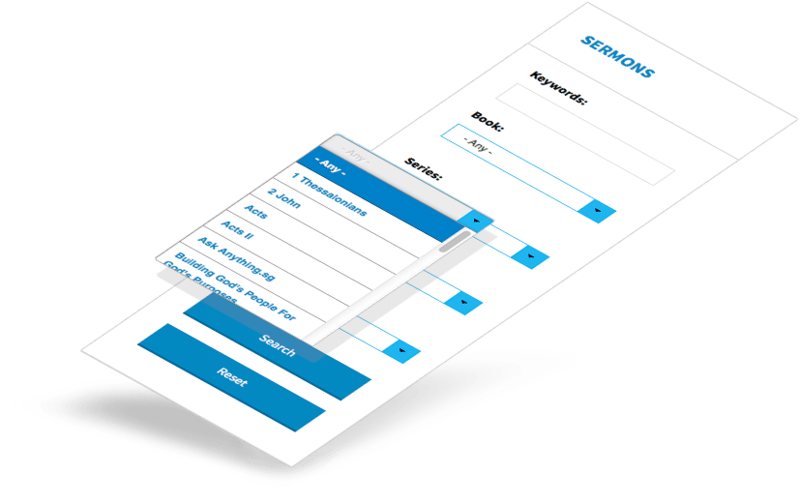 We were particularly impressed with their design for the system to manage our sermons - they are now searchable by book, series, speaker and year, no mean feat! We thank God for the gifts and talents at PixelOnion!